This year’s theme of the annual issue, common for all countries of the PostEurope organization, is Thinking Green. Cypriot designer Doxia Sergidou’s design was the winning one of 24 designs. 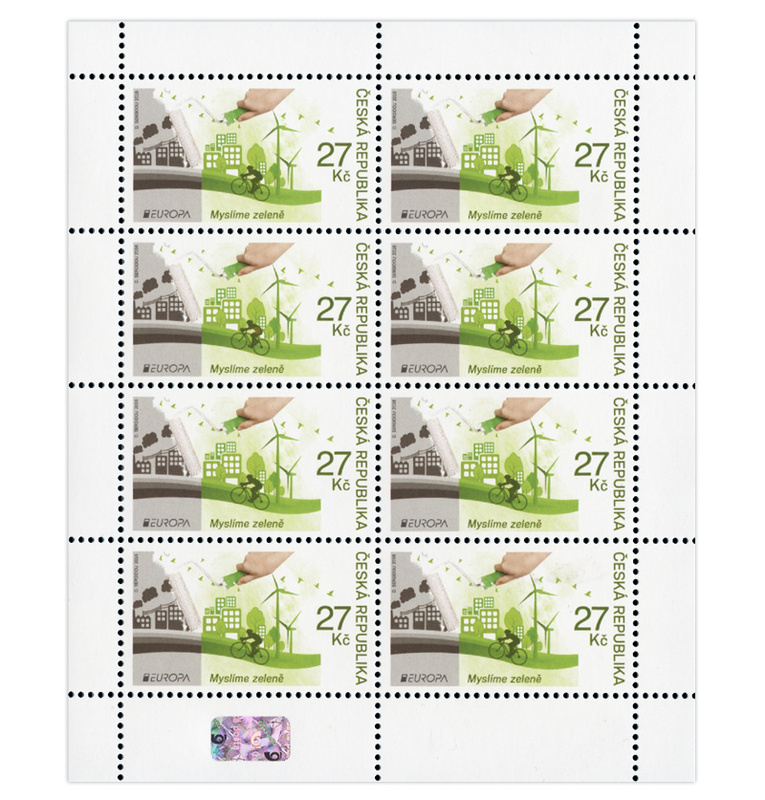 When asked how she chose the motif for the stamp, the designer said that her main idea was to show that maintaining our planet green is in our hands. The roller of grey colour (contaminated air) is meant to represent each of us, and it is only up to us to replace it with green colour symbolising life and hope and inspiring us to create a better world. 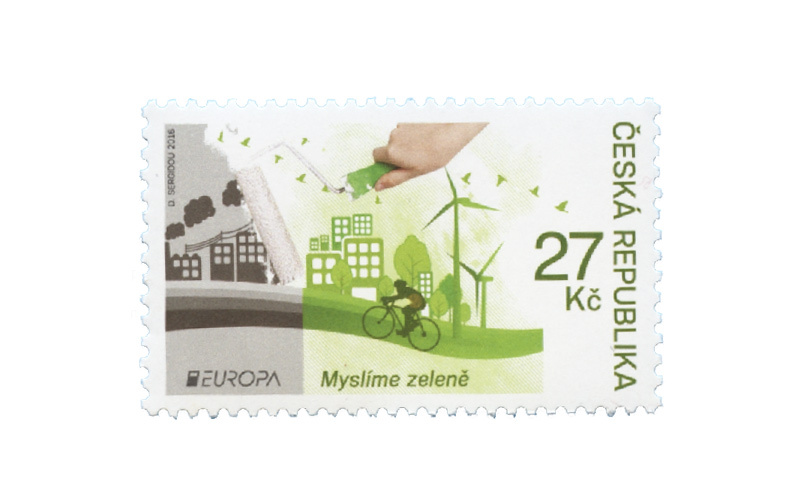 The left-hand side of the stamp represents contamination and the huge disaster caused by factories, vehicles, electrical power generation and inefficient waste. It also shows the negative effect human activity has on the living environment. On the contrary, the green colour on the right-hand side is meant to show that the use of renewable energy sources and environmental awareness can positively affect the environment. This will not only have a positive effect on our generation but it will also help future generations to live in harmony. The effect of our activities on the environment is a high priority area for European postal operators.